Sydeny: Australia's cricketers will not back down in a bitter pay dispute, David Warner has warned amid fears their October tour of India is looming as a flashpoint. 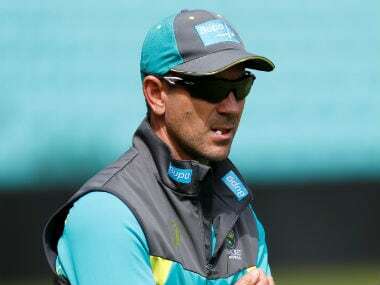 As the June 30 deadline for a new memorandum of understanding between Cricket Australia and the Australian Cricketers Association fast approaches, the Australia vice-captain insisted players won't budge on their demands. "Well from July 1, we're unemployed," Warner told Channel Nine late Sunday. "We've been threatened with that. We're hopeful there's going to be an agreement done, it's a sticky situation." CA has threatened not to pay contracted players beyond the expiry of their current financial deal at the end of the month if they do not accept a new offer, with the governing body determined to scrap revenue-sharing after 20 years. With a Test squad for an August tour of Bangladesh named last week, Warner was adamant that a lockout was possible. "From our point of view I want to play for Australia and so do the other boys," he said. "But if there's nothing that's put in place for what we're trying to achieve here, from both point of views, we're not going to tour Bangladesh, there might not be an Ashes if we don't have an MOU." 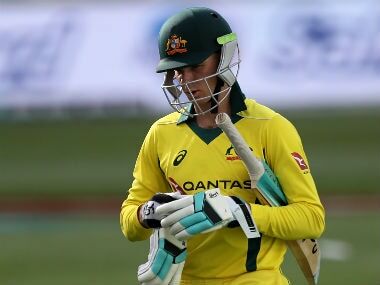 For all the concerns about the Bangladesh tour, and the uncertainty about the home Ashes series, cancelling the five ODI India tour in October could cost Australian cricket more than it can afford to lose. Offending India could jeopardise the nations’ reciprocal agreement that has the Indians touring Australia in 2018-19, The Australian newspaper reported. Indian tours generate big money and Cricket Australia risks forgoing the rivers of gold that will flow from hosting four Tests against the world cricket powerhouse, it said. The outspoken Warner conceded captain Steve Smith could "probably push a little bit more" when it comes to stating the players' case. While standing with his colleagues, Smith has taken a less strident approach than Warner, diplomatically trying to downplay the prospect of industrial action. "From where I stand and the position I take on this, I try to take as much heat off (Smith) as possible," Warner said. "He does lead us on the field, and rightfully so off the field as well, he does a great job." "In this circumstance I'm willing to go out there into bat for everyone." "Yeah, sometimes he could probably push a little bit more, but I think he's doing a great job, as well as the other players like Mitchell Starc, Josh Hazlewood as well." Pay talks between CA and the players’ union are set to continue this week with both sides saying they are committed to striking a new MOU before the June 30 cut-off.